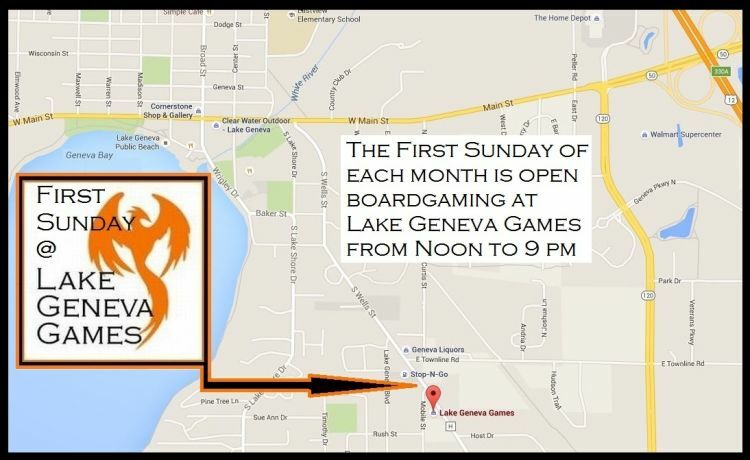 There are some upcoming events at Lake Geneva Games I thought I might mention for those in the area or who might be visiting Wisconsin. Every Thursday from 3 pm to 9 pm is Open Boardgaming. 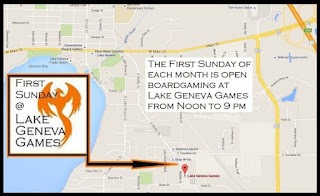 Open Boardgaming also takes place on the First Sunday of each month from Noon to Nine. There is a Facebook event set up for this Thursday, June 16th, here and one for the next First Sunday event, July 3rd, here. Also, this Saturday, June 18th, is an open casual event for all Dice Masters collectors and players called Dice Masters Lives! A Facebook event has been set up for that one here. Finally, if you love Magic the Gathering, please stop in the store for Friday Night Magic on Friday, of course, at 6 pm and the store also runs a Free MtG Standard event on Monday evening at 6 pm. No sign up is required but get there in plenty of time to make sure you can be included!